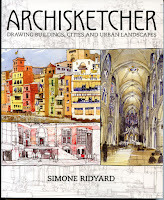 Filled with many different styles of urban sketching, Archisketcher – Drawing Buildings, Cities and Urban Landscapes by Simone Ridyard has very little to do with drawing like an architect and everything to do with helping you make buildings come alive in your sketchbook. Its goal is not to teach you how to draw but to show a variety of approaches so that you can find and express your own. The list of contributors reads like a who’s-who of contemporary urban sketching – Shari Blaukopf, Nina Johansson, Ch’ng Kiah Kiean, Suhita Shirodkar and Liz Steel are among the more than 40 artists worldwide – but my guess is that at least half are not architects, which I found inspiring in and of itself. “You don’t need to be an architect to sketch architecture confidently,” says the author in the introduction, and a quick scan of the book would tell you that’s true. Focusing on composition, color, viewpoint and other aspects of architectural sketching, Archisketcher expands on each aspect by showing multiple examples. 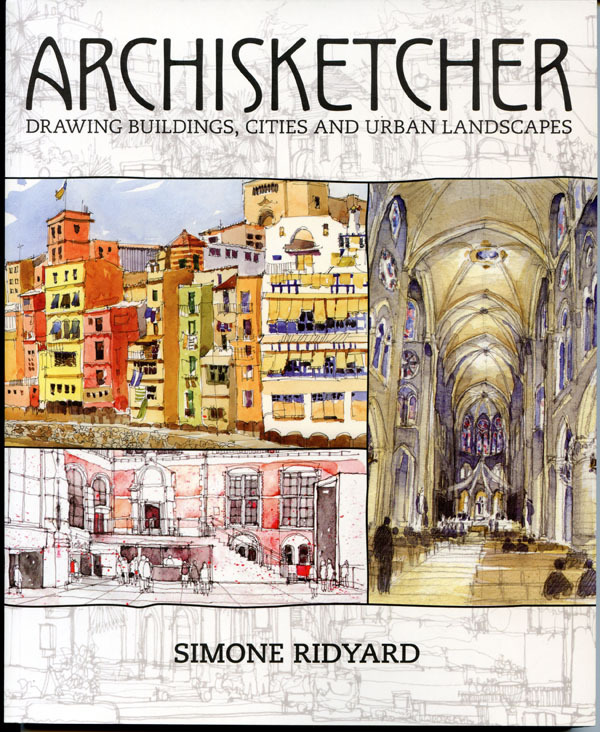 Each of the book’s five main sections ends with “Sketching an Icon,” in which sketches by several artists of the same well-known structure (such as Notre Dame or the Brooklyn Bridge) are shown together. 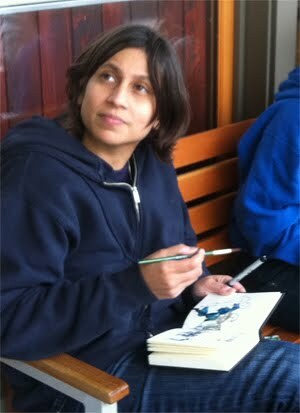 I found it fascinating to see how sketchers take on the same subject in such varied ways. 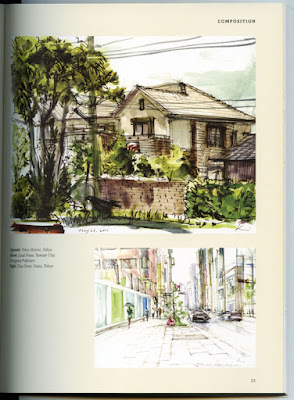 In addition, each section highlights two urban sketchers showing their home towns in “My Neighborhood.” Both of these unique selections of sketches are especially inspiring and enjoyable to savor again and again. in her "My Neighborhood" section. 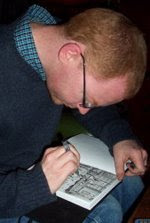 One other unique feature of Archisketcher is the author’s particular viewpoint as an architect, which is apparent in brief but illuminating sidebars to many sketches. Ridyard might comment on the historical significance of a Moorish tower appearing in Alvarao Carnicero’s sketch, for example, or how the roofline of a city becomes its signature. As someone who has never studied architecture, even casually, I really appreciate this context and the opportunity to view a sketch the way an architect might. 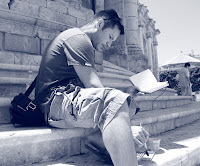 sidebar explains three types of architectural columns. 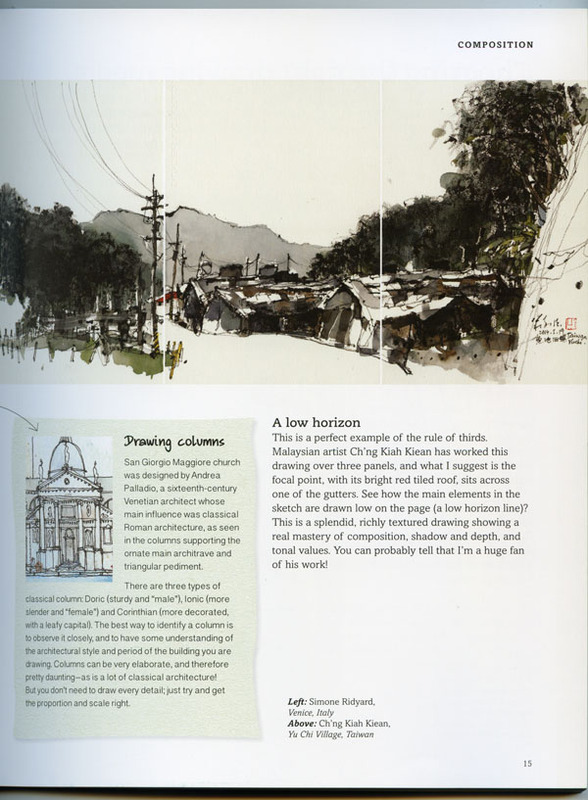 Other than brief lessons on one-point and two-point perspective, the book contains no how-to instructions or basics found in most urban sketching books (such as suggested art materials or portability tips). For those reasons, I wouldn’t necessarily recommend this book to a novice. 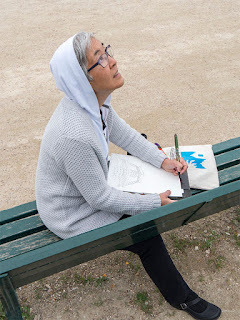 Instead, I’d say its audience is sketchers who have a few years of sketching under their belts and are now looking for ways to step-up their architectural sketching level. 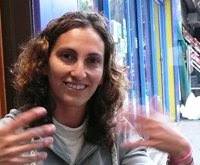 Perhaps that group includes sketchers who are comfortable with most subjects, but architecture still intimidates them. I could also see experienced sketchers who are comfortable with architecture nonetheless being inspired by the wide variety of approaches shown that could get them out of a potential sketching rut. There’s something here for almost everyone – and definitely eye candy for all.